Light up your wrist with this new Swarovski bracelet. 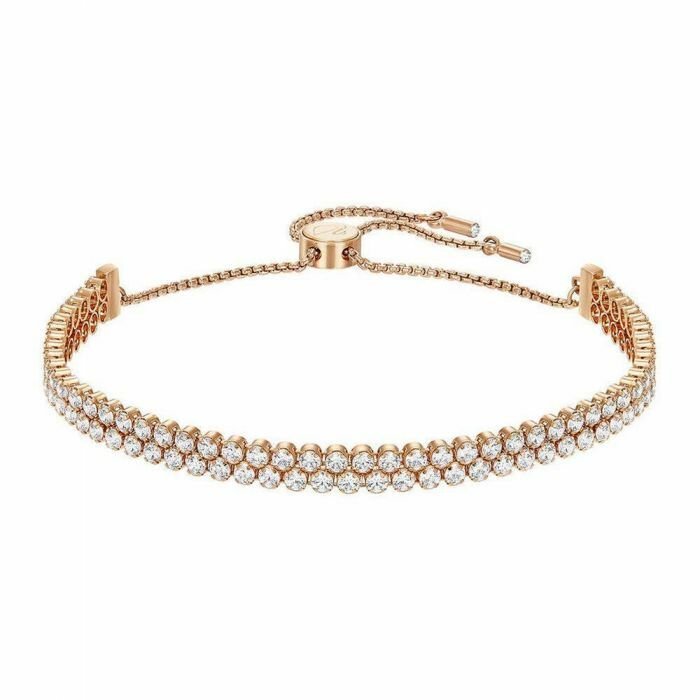 Crafted with rose gold-plated metal, this bracelet boasts two layers of clear round crystals. The unique bolo bracelet design ensures a perfect fit! Dress this look down with a Swarovski watch or up with other sparkling bracelets for effortless day and night style.